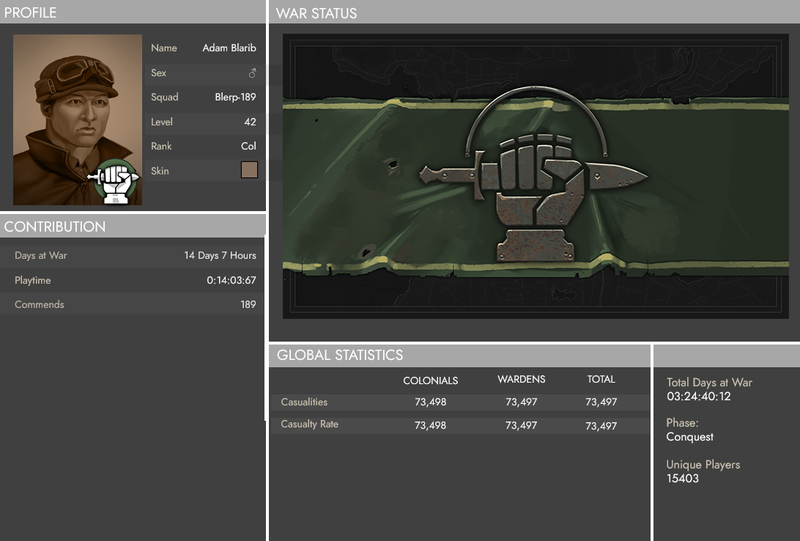 Devblog 64: Game design, uniforms and login flow refactoring! DISCLAIMER: All of the content below is heavily conceptual and may never be in the game. All Images and Text are stand-ins. Please read this before taking the images out of context! 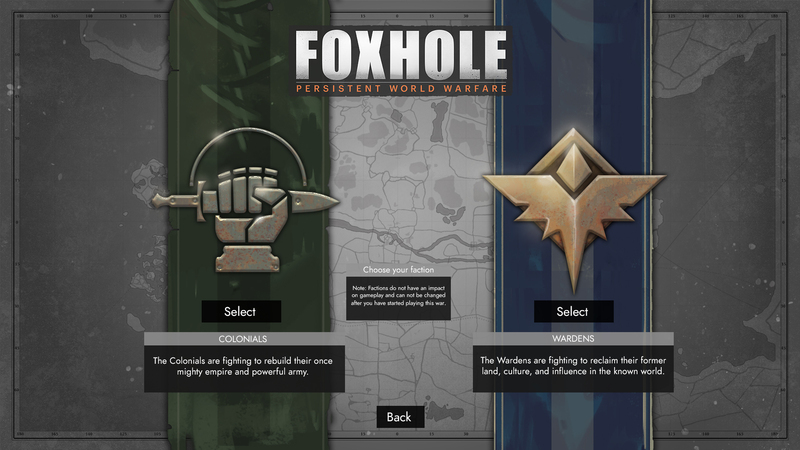 Since the beginning of the year, we’ve been heads down trying to figure out what the game design will be for Foxhole 1.0, which we hope to launch in 2020. Now more than ever, we’re really trying to design features that are taking the long term into account. While we will still be experimenting with certain things, we want to build game systems that can serve the game for years to come. Designing gameplay features for the long term has been a mentally exhausting experience. We’re putting a lot of effort into making sure that all the pieces fit together in a cohesive manner, instead of just developing individual ideas in a vacuum. When doing things this way, we might have 90% of a game design problem solved, but then that last 10% might conflict with some other goal or present some corner case that can’t be resolved. Often in these cases, we’re forced to go back to the drawing board and redo things from scratch, which means that days or even weeks of design work and mental energy has to be thrown out. 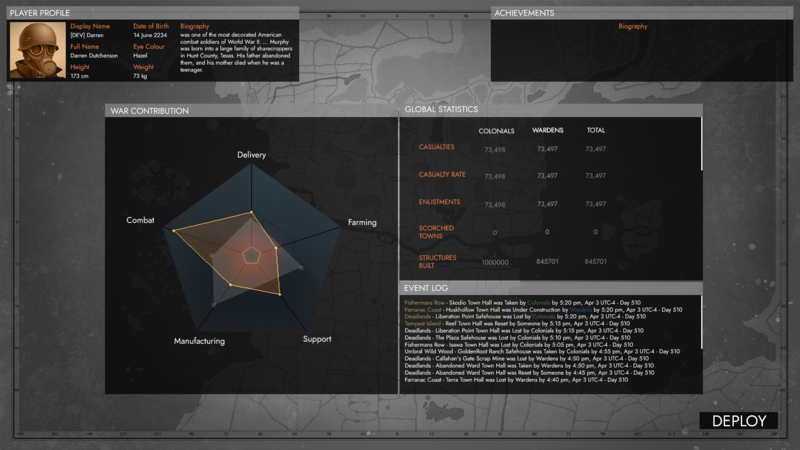 The big pieces of game design that I’ve been working on involve logistics, intelligence, and base building. 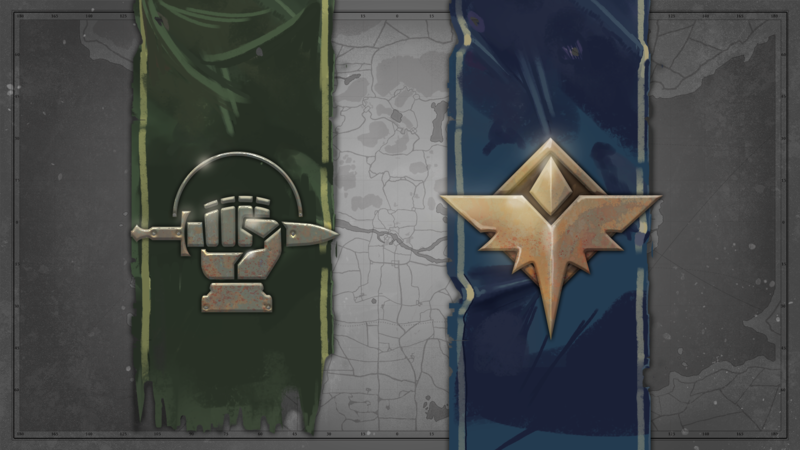 These are three areas that we’re really not satisfied with and think deserve a full revamp before the game gets out of early access. 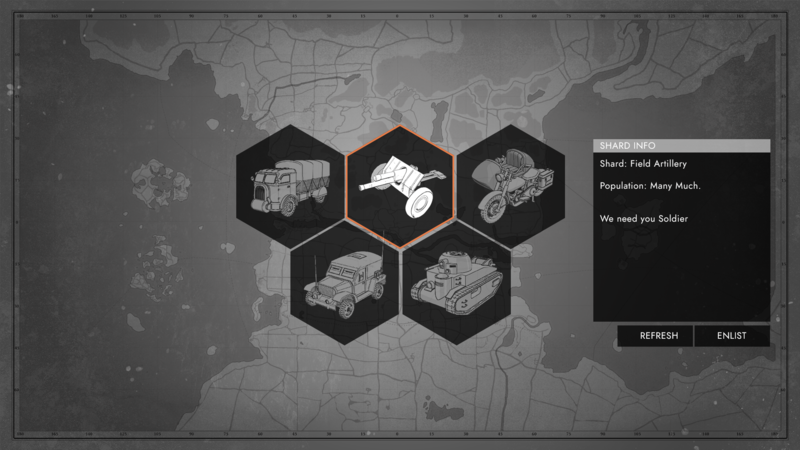 An old piece of concept art that we’ve dug up for our upcoming improvements to logistics. 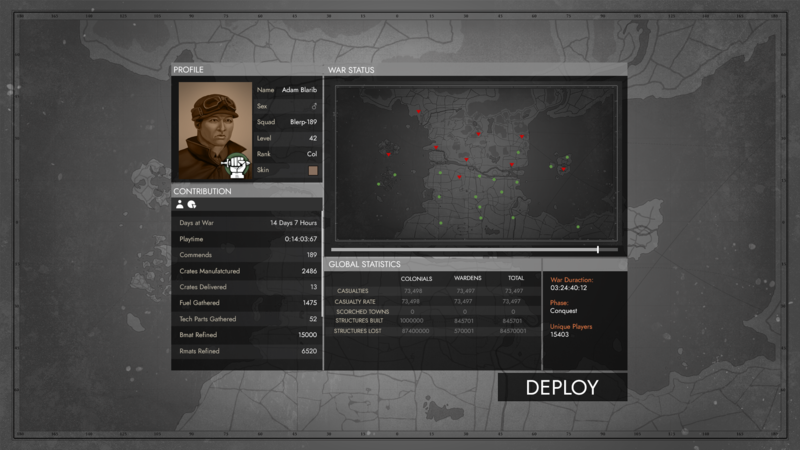 The highest priority on our list right now is the logistics game, meaning supply lines, production, and resources. 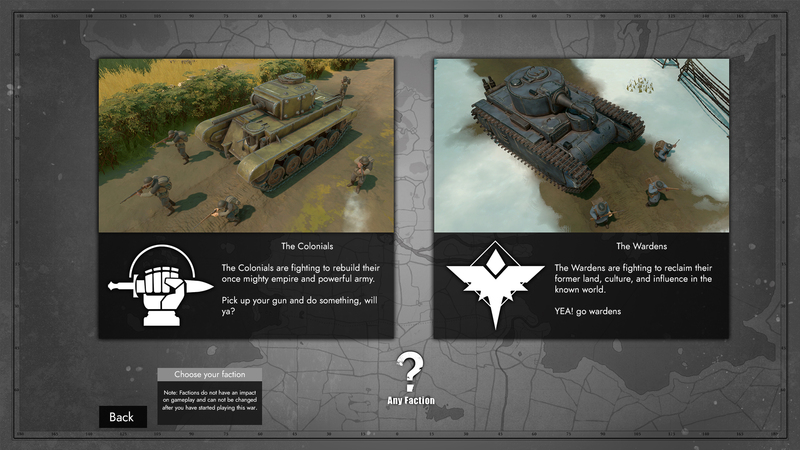 We’re going to have a lot more to say about this in the coming months, but rest assured that the reason why we haven’t been discussing these areas of the game that much recently is because we are gearing up for big things. We aren’t happy with the changes we made last fall with the Industries of War update so we’re taking another crack at revamping logistics, with bigger ambitions this time. I can’t spill the beans yet on what these changes will be, but they will involve changes to the way logistics will work on land and sea. 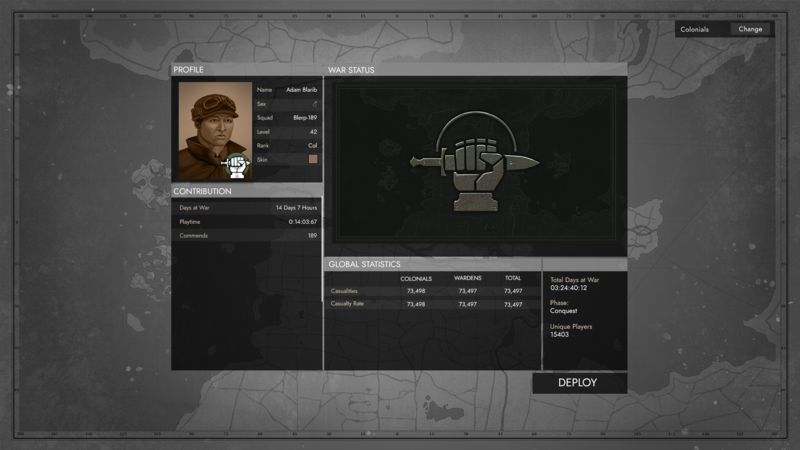 Our hope is that between now and 1.0, we’ll be able to build out a logistics game that’s as comprehensive as the combat side of Foxhole. Stay tuned for more! 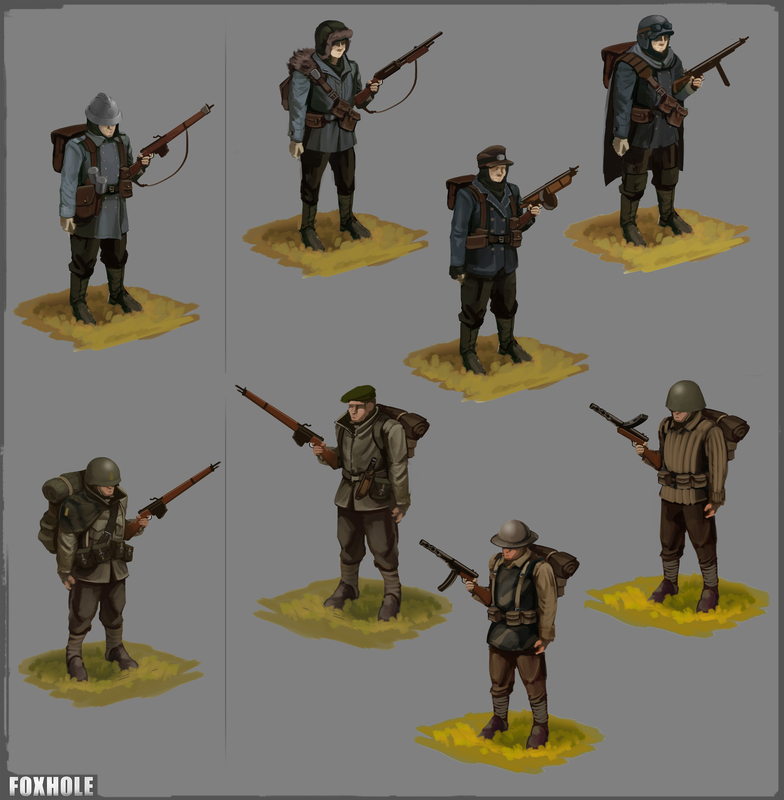 Uniforms take two or three… Our epic journey towards adding different uniforms to foxhole is one step closer to completion. 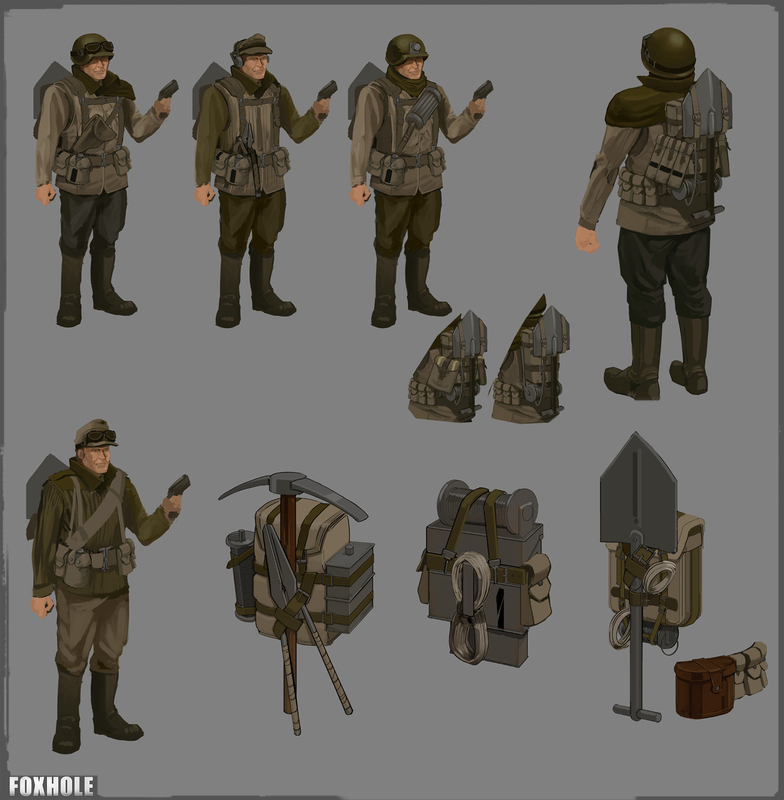 You guys have made it clear that you want different uniforms in Foxhole. 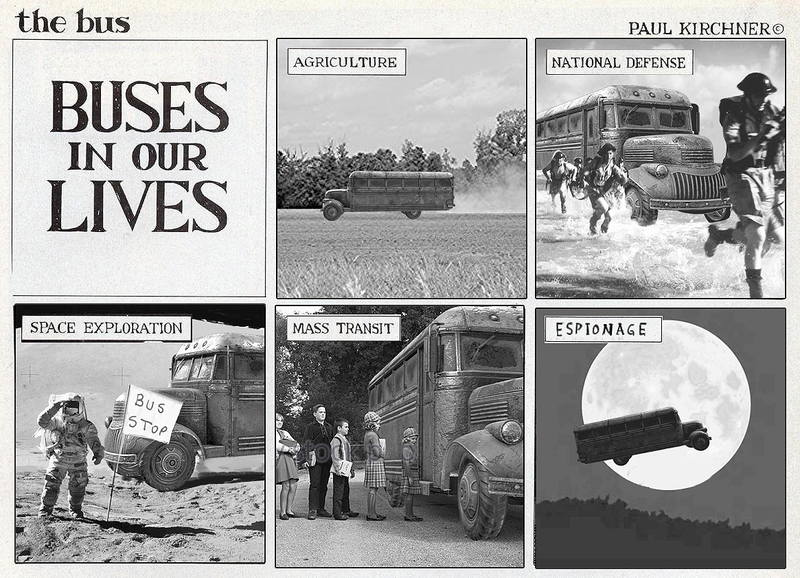 Wel,l we want them too. 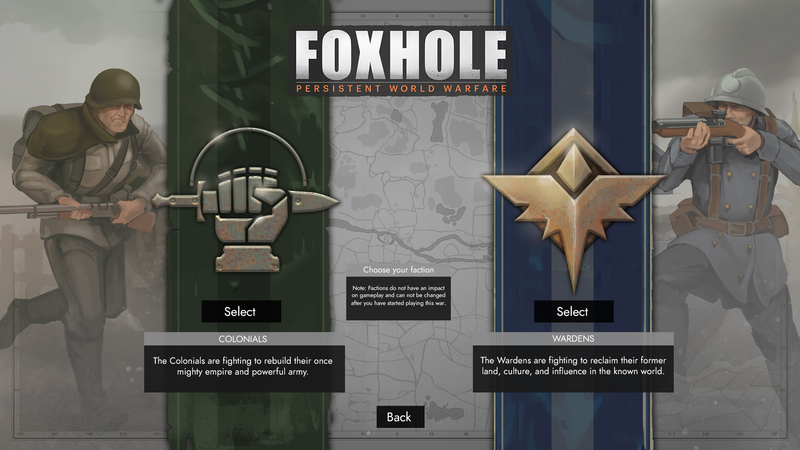 We are making another push to find what will feel right in Foxhole. The first four uniforms we what to represent, Soldier, Medic, Engineer, and Scout. 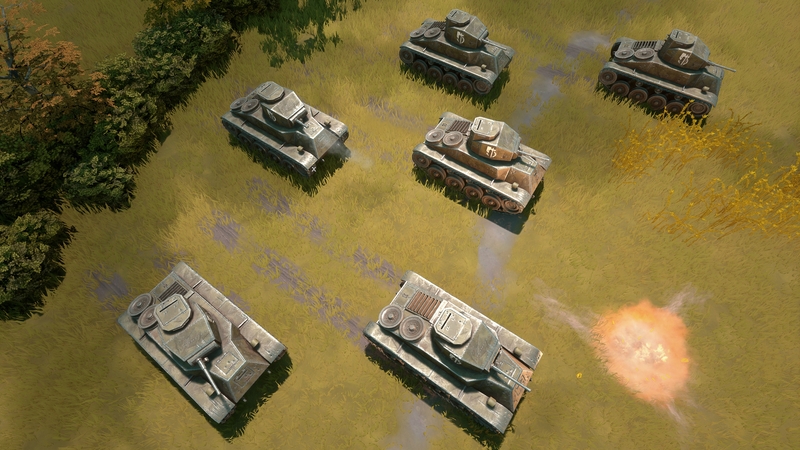 We may add more in the future (Tank crew, Officer, and community suggestion!) but this is the starting point. Earlier iterations of the uniforms we tried making each ‘class’ unique. This was a step in the wrong direction. As we work away Mark has made it clear he does not want the game to look like a flying circus of different colours and shapes running around. We are not making a MOBA title or hero shooter and Marks vision for the game is not one of the individual characters but two unified faction. 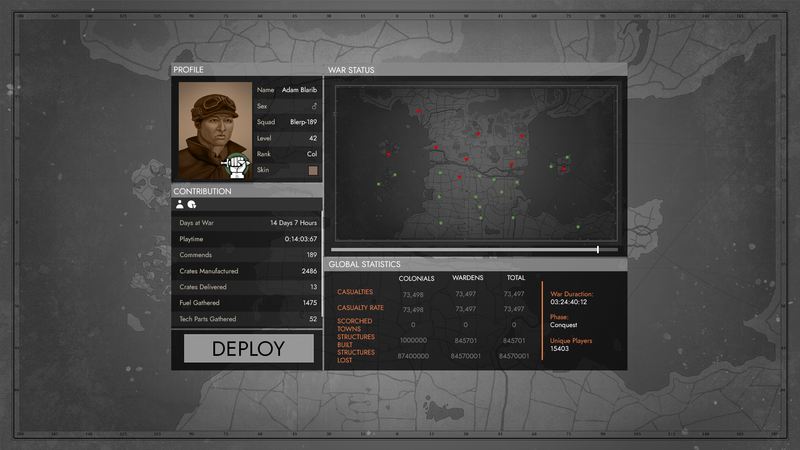 You should feel like you are displaying and communicating your battlefield role to the other players so you can all fight more effectively. 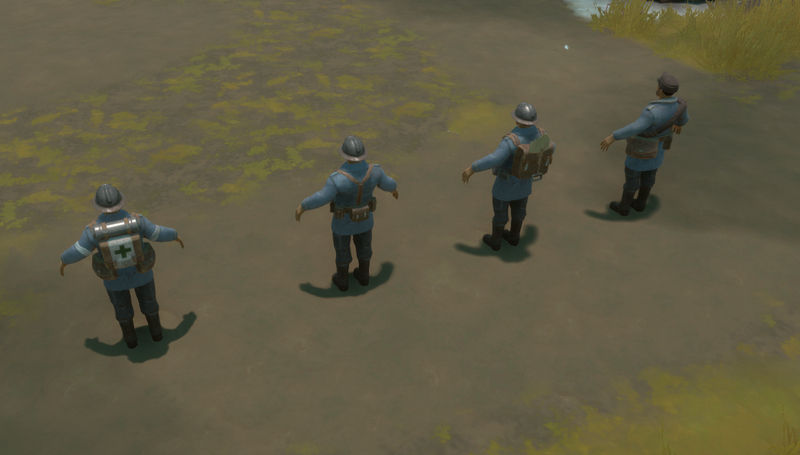 I have done lots of research into different WW1 and WW2 soldiers kits to find out cool items to include for each uniform only to realize you will never see any of the fine details from the in- game camera. Throughout the iterations we have come to realize that for foxhole one key identifier is better than a million small trinkets. Want to add a caption to this image? Click the Settings icon. A problem we realized after the fact in the past was we designed each class in a vacuum. We tried to get the medic right first before moving on to the engineer. This ultimately worked against the theme of a unified force. We are now designing them as a set. 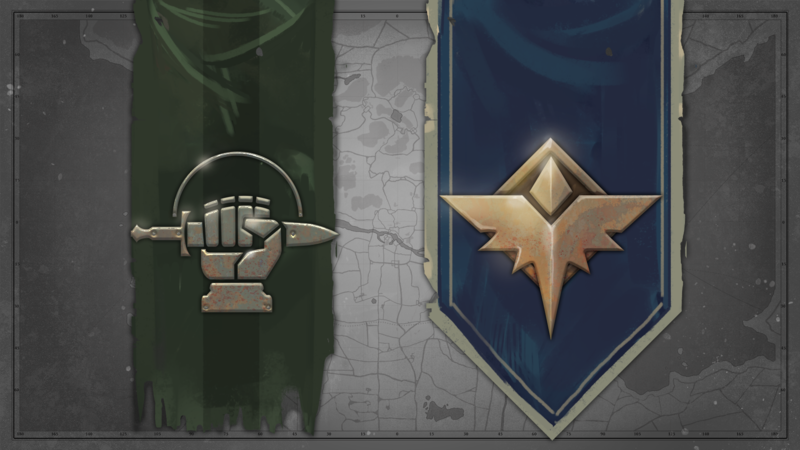 The scouts for either faction will be the outliers, the visual intention that they are a little different and will operate away or ahead of the rest of the army. 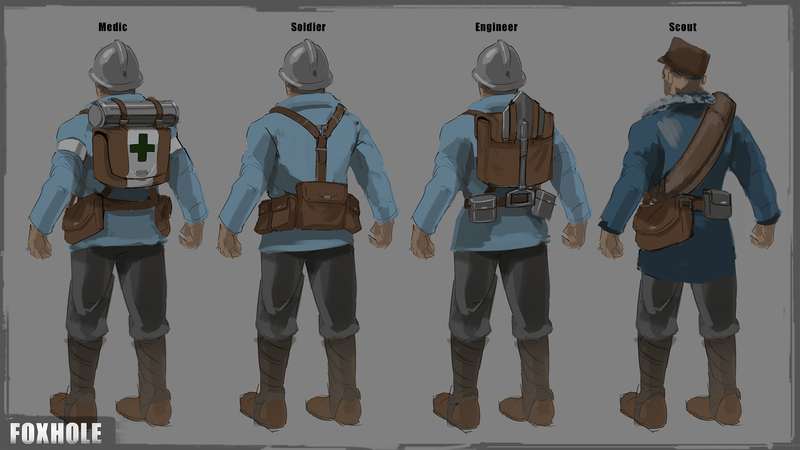 The current iteration of the uniforms we have decided to keep the helmets as the major unifying element and make the backpacks the identifiers of battlefield role. 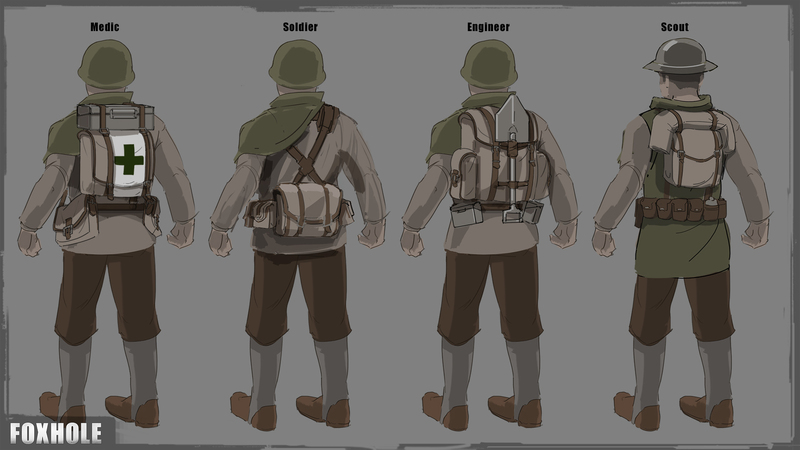 An idea that came up was to change the current in-game models look and get rid of the large backpack for the basic soldier. This makes the engineer look like he is carrying all the heavy stuff. We are in the process of doing quick 3D models to test if these work in the engine. This is all very work in progress, we may end up tossing it all out and try a different approach. So far however this is working and we are excited. Want to add a caption to this image? Click the Settings icon. Bonus item……. RESISTANCE PHASE OUTFITS! We are experimenting with the idea of unique outfits for the resistance phase. These we are experimenting with a non military feel. In addition, we are discussing other things to add to the resistance phase but for now, we will let you speculate and make suggestions! We are reaching a point where we must starting planning 1.0, and we recognize that infrastructure needs to support new features as well as a potential influx of players when we release the full game. This requires us to take a look under the hood and fix existing problems and also to plan to support new features in the future. Some of the major infrastructure issues that we are planning on addressing are login experience, player profiles, and server management among other things. 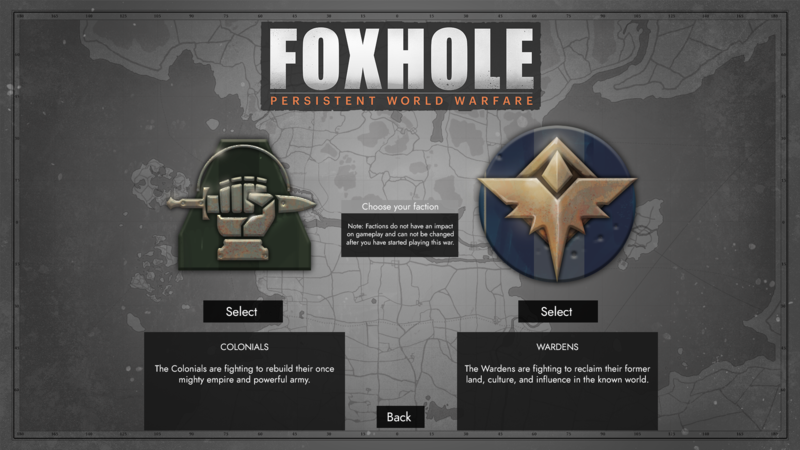 Essentially the question is: How can we turn Foxhole's online infrastructure into a well-oiled machine that can be managed for years to come? I had the opportunity to have a first pass at working on one of the user facing features related to these infrastructure changes. This task was to concept the visuals for the new login experience on the main menu. I need to stress that these are conceptual, and certain elements may never make their way into the game. We do these conceptual exercises to get excited about the features we are working on, and ultimately ironing out any workflow related issues. Here is an example whiteboard drawing of screen flow that HB or I would get to work with it. 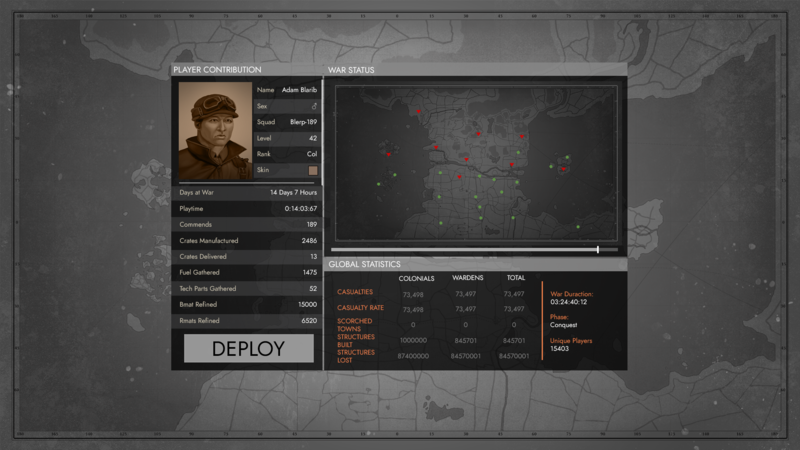 It is our responsibility to turn this framework into a working UI that is pleasing to use, as well as fits Foxhole. From here I usually start from the most complicated screen and work backwards. I create a lot of iterations and constantly ask the team if I am in the right direction. I get lots of feedback, make updates and then at the end I create a google slide showcasing the potential workflow. It works for us to plan everything in slides as you can get a sense of how things will feel. There is a tendency with art to overcompensate with visuals and feedback when you perceive there is a lack of substance. I am learning to take a step back and really let the content tell the story, and just create a simple, aesthetic framework for the content to sit comfortably. That wraps up another Dev Blog. 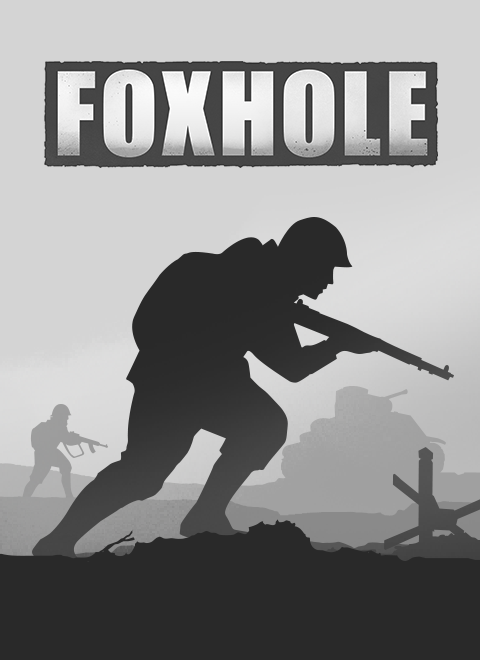 Be sure to check out our Foxhole Dev Stream for more information about upcoming features. If you have any burning questions you want answered be sure to tweet them to @Matt directly on Discord or Twitter, if your question gets selected it will be answered live on stream! 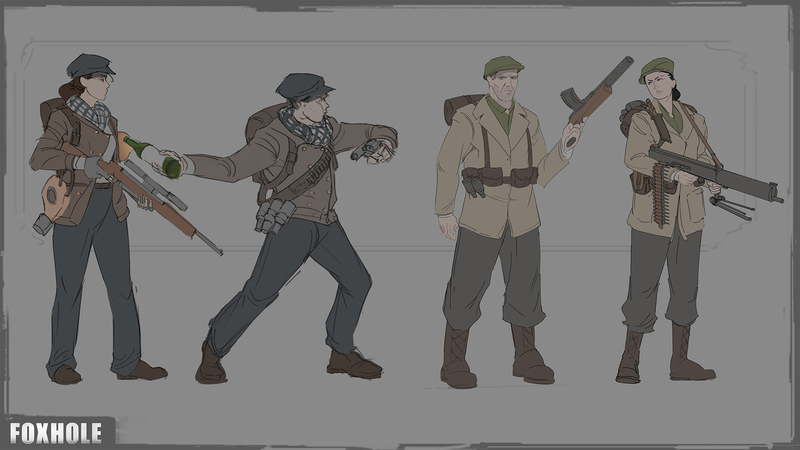 Devblog 62: Resistance phase, Animation systems, and Office culture! 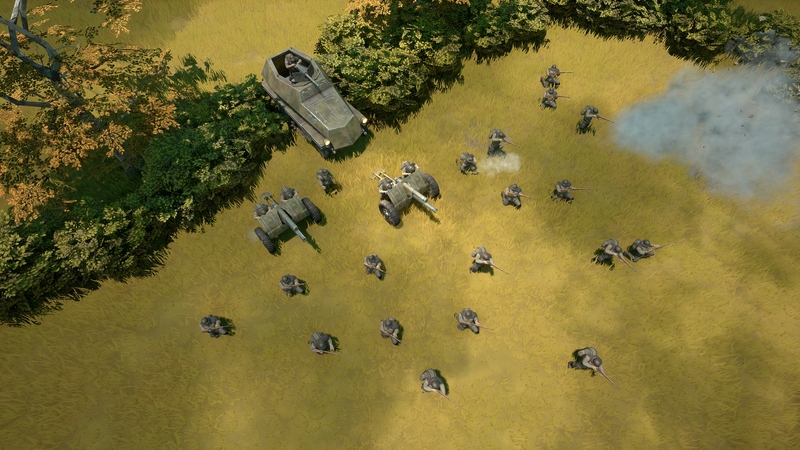 Will you ever add the ability to tow field artillery and field HMGs with Trucks, or maybe other vehicles? I never understood why that wasn't present. 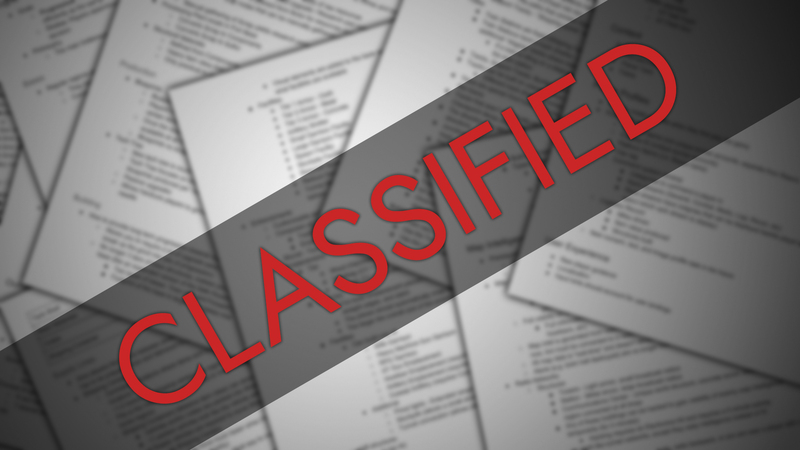 The community has improved from last year-- However, the issue still lies in the conflict of interest of the community management partaking in the game as an organized clan and swaying the game to their favor in every world conquest. 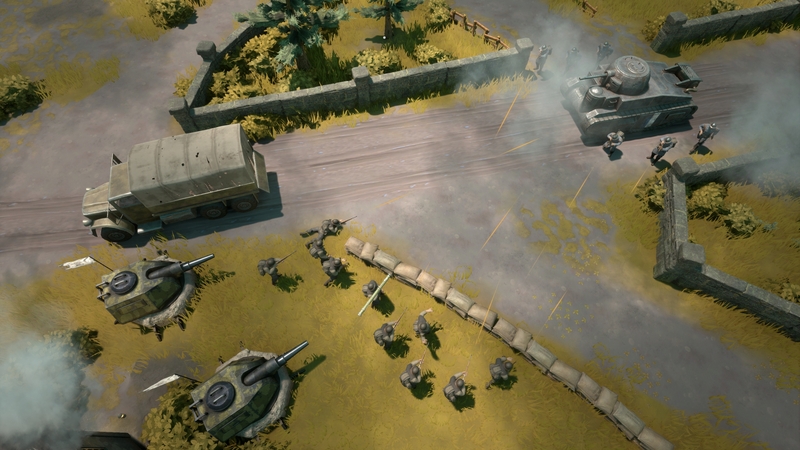 I very very like the mutiplayers onilne game.I almost become a realistic soilder .Fantastic exprience. This is the best, most unique, addictive and creative tactical game I ever play. Really addictive and enjoy the community. You should try the game. Try it, and you will know that you will vote this game for best indie. Thank you for listening my explaination. Game is pretty chill. Devs have their own fav clans and host events for them. 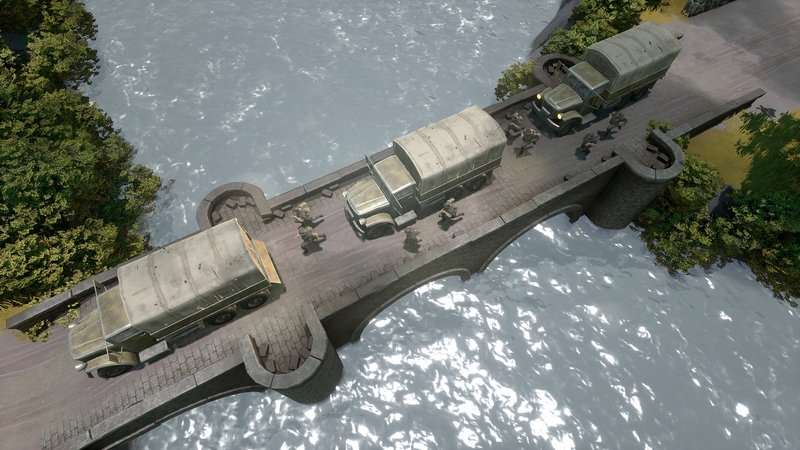 And when they host public events, it's for the popular clans or streamers. I wouldn't say they "don't care" about the other players - but there's that vibe though. Bugs are crazy. Landmines can't be removed, vehicles get stuck on the gate, people do a crouch bug and become near impossible to shoot, others can levitate and become a levitating god who can shoot while avoiding gas/nades/tank shell/shotgun/bullets, you got to reload 2-3 times under duress because of the reload bug, if you're a passenger on an APC - you've got a 10% chance of being recruited to the space program, it's impossible to see anyone in bushes even if you're right next to them, you can warp thru trucks and people can carry trucks at times. They're not interested in fixing what they have. They've made that clear in the last dev stream. Still - I dedicate a lot of time to the game because of a few people I met in the game. 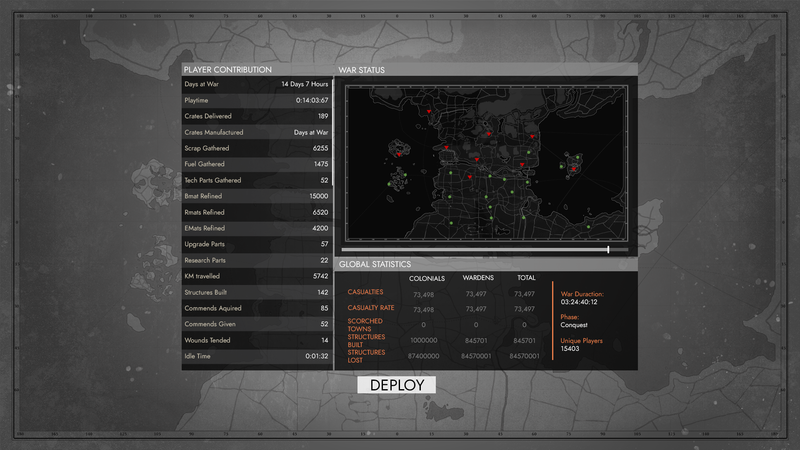 They're really cool, and small teamwork allows you to have loads of fun and kick a lot of ***. So there's that.